Yet ‘Money’ Mayweather remains completely untouchable, and the disturbing cult of fandom that surrounds him only continues to grow. Imagine facing Floyd Mayweather in the ring. Try to grasp how utterly terrifying that would be. Now take away the ring and picture yourself in a house. Imagine fighting one of the most dangerous boxers in the world with no gloves, no referee. Imagine a professional fighter whose entire life has been devoted to learning how to use his fists to inflict as much damage as possible to the human body coming for you in a hot rage. No one to throw in the towel, no one to stop the fight. Keep that in my mind as you read through this rapsheet of his crimes. September 2010: Mayweather pleads guilty to domestic assault and harassment charges. Josie Harris, the mother of three of Mayweather’s children, got into a heated verbal altercation with the boxer at her house (that he owned). At the time, the pair were not together – Mayweather was seeing Shantel Jackson (who last year filed a lawsuit against the boxer claiming he pinned her down, pointed a gun to her feet and told her to choose which one she wanted to keep), but he was allegedly furious that Harris was sleeping with Chicago Bulls guard CJ Watson. Fearing for her safety, Harris called the police. When they arrived she told them that no assault had taken place but wished for Mayweather to leave the house. He did so. Three hours later he returned with a friend, James McNair, and was let in by one of his children. According to police reports, Mayweather went over to Harris, who was sleeping on the couch, threw her down and exploded in a fit of rage. He then proceeded to rabbit-punch her in the back of the head – an illegal boxing technique considered especially heinous as it can damage the cervical vertebrae (and spinal cord) as well as detaching the victim’s brain from the brain stem. It can be instantly lethal. He twisted her arm, pinned her down and screamed that he would “kill” her and make both her and Watson “disappear”. When his son, Koraun, tried to run to the phone, Mayweather’s friend blocked his path, but eventually he made it outside and called the police. 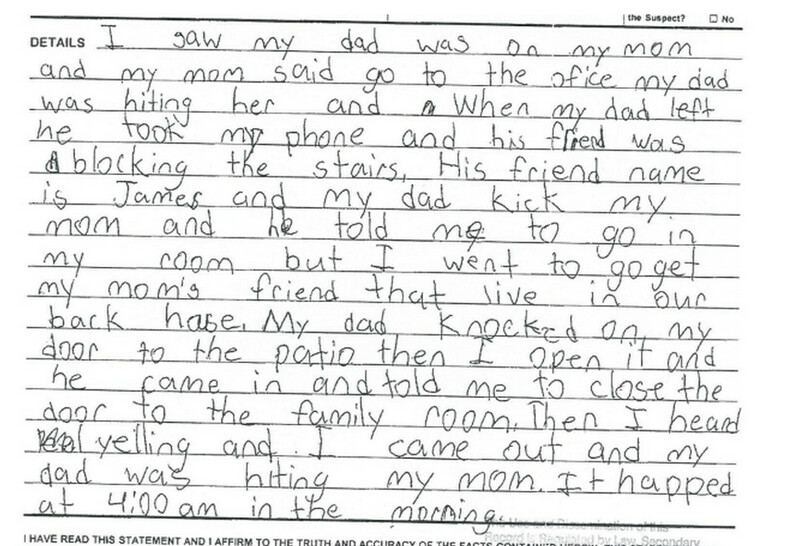 This is Koraun’s report to the police. A doctor’s report from the assault makes for savage reading. Harris suffered a concussion and found bruises and contusions on her face. After initially facing charges amounting to a 34-year prison sentence, Mayweather signed a plea bargain where he served two months of a three-month gaol sentence and pleaded guilty to domestic assault and harassment charges. But this brutal, horrific attack is by no means an anomaly. Since 2001, Mayweather has been accused of violence against women at least seven times – pleading guilty to two of these and convicted another time, before the charges were dismissed after negotiations. In February 2001 Mayweather pleaded guilty to counts of domestic battery after striking Melissa Brimm, the mother of his daughter in the jaw with a car door and then pushing her into the car and punching her three times in the face. In 2003, the boxer was found guilty of two counts of battery in an unprovoked attack on two of Harris’ friends at a nightclub in Vegas where he attacked the two women punching them in the jaw and head. Alarmingly, these assaults are just the tip of a titanically disturbing iceberg. And what makes Mayweather’s character so completely irredeemable is over all the years, after all the smashed skulls, the battered bodies, and the terrified children – there is a complete lack of remorse. In fact, in Mayweather’s mind – HE is the victim. In a recent interview he said, “I love my children. It’s been bothering me a lot that three of them I haven’t been able to see. You know how women are sometimes”. Hahahahaha, I know right?! Classic women. You will not find a single utterance of regret or responsibility – just denial and deflection (see below). It’s a silence so loud that it should be completely deafening. And yet we hear nothing of it. The glamourization of Floyd Mayweather is as inescapable as it is disturbing. These gruesome assaults are just footnotes in the legend of the man that builds and builds as the fight draws near. They’re ‘incidents’, ‘distractions’, ‘issues’, ‘brushes with the law’. Even noted feminist Katie Couric, in her insufferable slobfest with the champion boxer is quick to dismiss Mayweather’s beatings as “reduced misdemeanour charges”. He’s untouchable – and backed by a dazzling list of celebrity supporters from Diddy to Tom Brady to Jamie Foxx (even the King of Obnoxious Moral Grandstanding, Bill Maher) who continue to perpetuate the cult of Floyd Mayweather, ‘The King of Kings’. Sports fandom’s a curious thing. They’re fundamentally flawed human beings like all of us, and yet we demand a higher standard from them. Except, at the same time, we absolutely don’t. If they’re talented enough, if they’re marketable enough, if they make enough money for enough people, we’ll look the other way when that behaviour from any other person would repulse us. It’s completely understandable. We want so much for sport to exist in a vacuum, to be a fleeting, intoxicating escape from the problems and complications of everyday life, so when these off-field ‘issues’ start to penetrate our precious sphere, we instinctively try to push them away. And anyway, who the hell are we to pass judgement on these people who do all the same things we do – take drugs, crash our cars and make dumb mistakes? But surely we must draw the line somewhere. I don’t know exactly where that is, but it must be somewhere before the despicable, cowardly and recurrent beatings that this man is guilty of. A man who doesn’t have the decency or shame to even feign remorse for his actions. Perhaps largely in part because we haven’t demanded it of him. What Mayweather has done so many times is so far removed from acceptable or even forgivable behaviour that we just can’t sweep what he’s done under the carpet and focus on his boxing. We shouldn’t expect sportspeople to be angels. Fine. But we should expect them to not repeatedly and unrepentantly batter women. Today, whether he wins or loses, Mayweather will not have my respect and he will not have my reverence. He’s been one of the highest paid athletes of all-time, who the sycophantic media and smitten punters alike fawn over, and there’s something deeply disturbing about that. 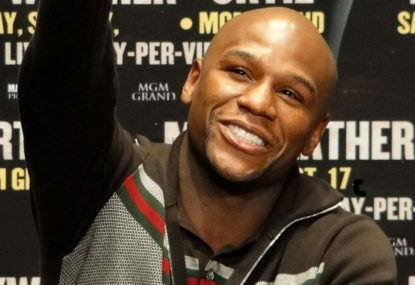 Floyd Mayweather is an excellent boxer and nothing more. But so, so, so much less. It’s time we started treating him as such. “Floyd Mayweather: Great boxer, terrible human”.